Here are our current Consumer products we offer. Please check in often because we will frequently update the product pages with new items. Pro Panoramic 50mm Camera. This camera takes soft panoramic photos as well and normal soft photos. Makes a nice gift. Fantastic deal, wont last long. INTEL Batman Revenge Motherboard designed for the demanding workplace applications. Retail $199.00. This Internal Booster Antenna is a passive device designed to capture stray radiation in the body of the phone and in the process it re-radiates the signal to improve the phone's performance. Retail is $19.95 plus shipping. 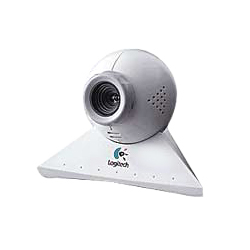 The Logitec Quick Cam is superior for video or still digital images. The 15mg is far more than the 2-8 meg cameras selling at auction. Compare at $69.99 and up. Last 2 available. Your price $29.50. All items subject to prior sale. Photos maynot accurately depict actual product so read product description carefully.